Less than a year ago, Insta360 introduced the Insta360 ONE X, which offered a significant upgrade over previous models and gave many of the latest cameras on the market a run for their money. Now, the company has announced a very unique product that, once again, puts its competitors to the test. The Insta360 EVO is the company’s very first foldable camera that comes with a range of features that will make photography fun and much more interesting for those interested in this product. The Insta360 ONE X featured a 5.7K video recording capability when rendered as 360 media. This same feature was included in the company’s new Insta360 EVO camera, along with additional capabilities. The resolution of the camera’s photography is 18MP, which might not be the best on the market, but it still produces high-quality photos. Furthermore, when set to 180-degree mode, the camera is able to provide the user with the ability to capture videos and photographs in 3D. This is a significant upgrade compared to the Insta360 ONE X model, and also marks one of the few products on the market that can currently accomplish this particular feature. Other popular options that we have seen on the market recently include the Vuze XR 3D, as well as the Kandao QooCam. 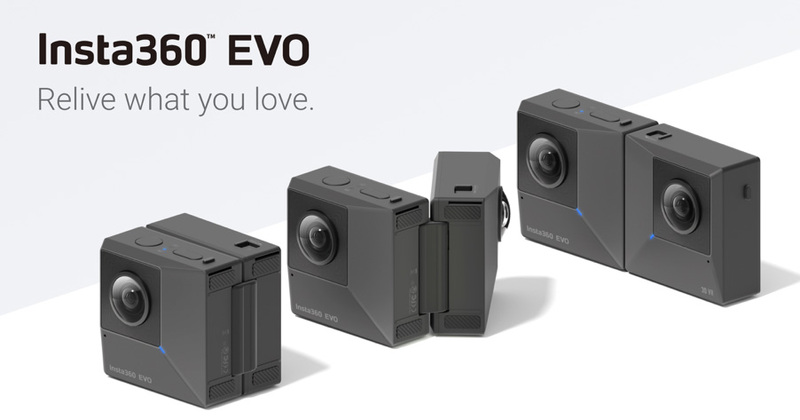 Insta360 decided to go a different route than existing 3D cameras on the market by introducing their latest EVO camera with a very unique design. This camera was designed to offer a foldable structure – and different features are available when folded, as well as when the camera is unfolded. When the user folds the camera, then they will be able to take 360 video content. In an unfolded state, however, the camera turns into a 180-degree video camera that has the ability to produce 3D video content. In addition to these features, the company has also decided to integrate a number of significant features that fans of Insta360 have come to love about the brand. This would, of course, include their Flowstate stabilization feature, allowing for both photo and video content to be stabilized automatically. The camera also features timeshift modes, as well as built-in HDR. Users are able to download an accompanying app on their smartphone in order to manage the features that the Insta360 EVO offers. 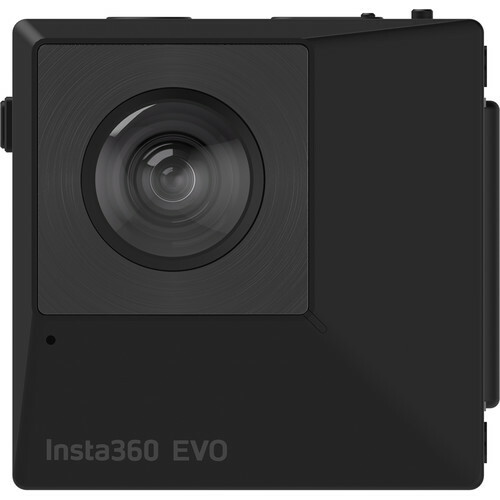 The developers decided to focus on simplicity when it came to the development of the app, making it exceptionally easy for any user – even those not experienced with previous products from the Insta360 brand, to get started with their new EVO camera. Once a video has been taken, the user is able to easily connect the camera to a supported VR headset to view 360-degree video content. The camera is compatible with a number of VR headsets, including the Oculus Go. A glass-free viewing of the 3D is also available with an additional add-on that customers can buy from the Insta360 brand. The holoframe is available as a separate add-on and is currently available for a price of $29.99. The new Insta360 EVO camera has also hit the shelves already, available at a price of $419.99.